In today’s age of data volatility, enterprises of all sizes across the globe are concerned about safekeeping of their data IP. The other aspect that has become business critical for enterprises is the ability of their IT to scale-at-will. Extensively evaluating for maximum security of their mission critical data, flexibility of availing hybrid hosting environments and overall dynamics of the data center, are few of the primary checks and balances that are being carried out by the enterprises before selecting their preferred data center. Meticulous capacity planning and process re-engineering, transpiring to TCO optimization, eventually deliver customer delight. This goes a long way for any data center in creating its own league, be business relevant and establishing some serious credibility amongst the enterprise community. To summarize it all, a world-class data center stands on four pillars viz. 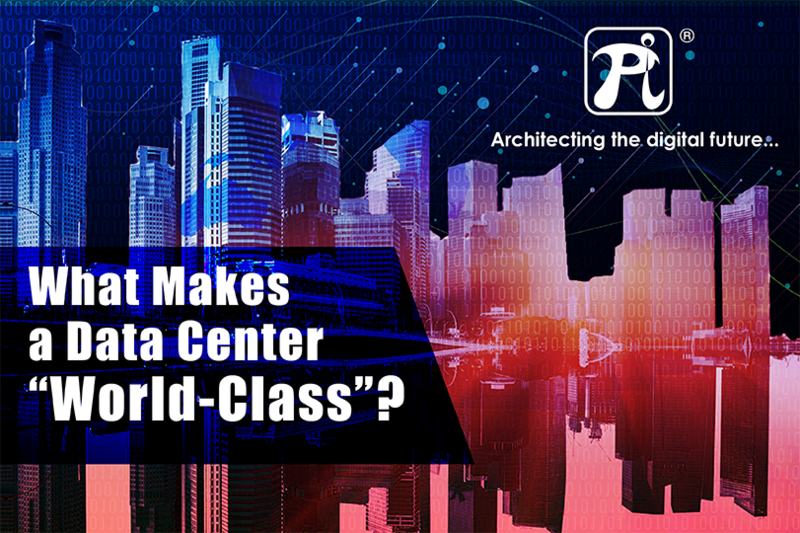 Pi DATACENTERS, Asia’s Largest Uptime Institute TIER IV Certified Data Center, resonates its brand principle around the very four pillars. It’s a software defined strategic datacenter (SDDC), providing best in class services coupled with, stringent SLAs and yet being cost competitive, globally. One key aspect that Pi DATACENTERS thrives on, is its pronounced customer centricity. This helps enterprises derive business value and attain sustenance, as they gain competitive edge through quicker go-to-market. Download the corporate brochure to know more about Pi DATACENTERS.